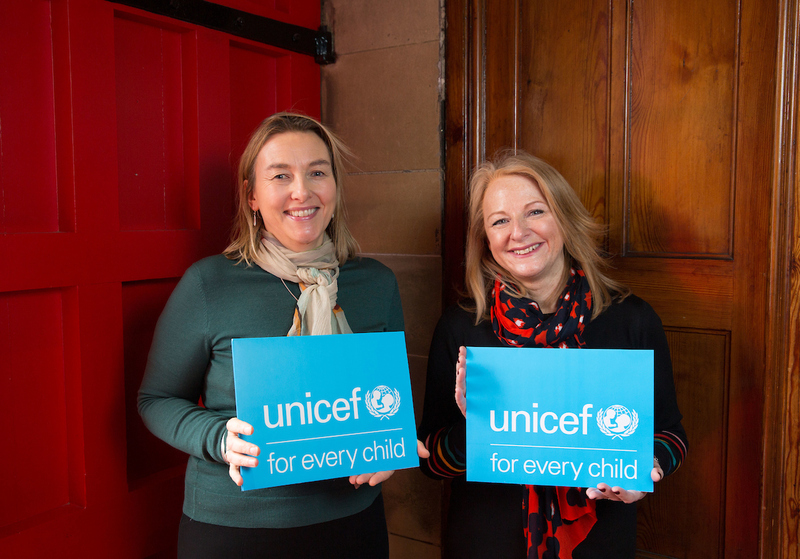 Entrepreneurial Scotland (ES) the leading network and leadership development organisation and Unicef UK, have joined forces to show the power of entrepreneurism in driving meaningful solutions to some of society’s toughest challenges. The partnership highlights the organisations’ shared belief that entrepreneurial thinking is key to meeting the needs of future generations around the globe, ensuring the best possible start in their adult life. As part of the collaboration, ES and the world’s leading children’s charity are planning a ‘Hackathon’ to explore new ideas and solutions. In addition, ES members are invited to take part in an emergency simulation exercise to gain an insight into the handling of Unicef’s responses to a humanitarian disaster. Unicef UK says 15,000 children under five die every day from preventable causes. Mean-while, 50 million displaced children are on the move today, creating serious challenges for their future. Such great challenges require innovative and ambitious ideas.  Unicef’s Office of Innovation works with governments and the private sector to support countries around the world in the use of innovative technology to address some of the greatest challenges facing today’s children. Cathy Craig, Commercial and Memberships Director with ES, said: “Unicef UK has expertise in developing entrepreneurship skills to empower young people around the world to drive social change. We share their passion for entrepreneurship and we look forward to using our network to spread the word and learn more about their approach. Lucinda Rivers, Head of Unicef UK in Scotland, said: “There are approximately 264 million children and young people around the world who are missing out on formal education. With quality education and skills, these children and young people can help transform economies and nations. A fast-changing global economy demands increasingly specialised skills at a time when many education systems are struggling. Therefore, an entrepreneurial mind-set is vital.